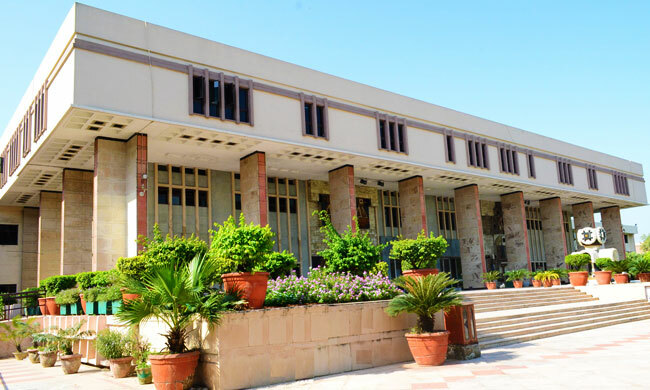 The Delhi High Court has issued notice to the Government of NCT of Delhi and has asked Registrar General of High Court to submit a detailed status report with respect to the status of fast track courts (FTCs) in Delhi. The court was hearing a public interest litigation filed in the interest of general public filed through Advocate Sumit Chander, who was aggrieved by the long delay in disposal of cases and huge backlog of cases with courts owing to the lackadaisical approach on part of the government to expedite the process by creation of FTCs on permanent basis and creation of additional posts by following the mandate of the Supreme Court in Brij Mohan Lal v. Union of India, (2012) 6 SCC 502. The petition alleged that instead of following the orders of the Supreme Court over the creation of permanent FTCs, the government has proceeded with ad hoc extensions of FTC posts, which was in total contravention of the decision of the Supreme Court in the aforementioned case. "It is directed that all the States, henceforth, shall not take a decision to continue the FTC Scheme on ad hoc and temporary basis. The States are at liberty to decide but only with regard either to bring the FTC Scheme to an end or to continue the same as a permanent feature in the State." The petitioner alleged: "That the present petition is necessitated in view of the delay by the Government of NCT Delhi, to take any action and/or decision in respect of the establishment of Fast Track Courts on permanent basis; and its insistence on extending scheme of Fast Track Courts on an ad hoc basis which is totally contrary to the judgment of Supreme Court in Brij Mohan Lal versus Union of India (2012) 6 SCC 502." The petition, amongst other grounds, highlights that while on one hand, legislature and courts are desirous of putting mechanism in place for lessening the backlog of cases and providing for speedy disposal of civil and criminal cases and towards that end had, time and again, made amendments to several statutes, on the other hand, inaction on part of the government to create additional FTCs on permanent basis is defeating the objective of "speedy trial". "While on the one hand, the Legislature and the Courts are effectively working towards speedy trials and expeditious disposal of Civil and Criminal cases, and to achieve that end, several amendments have been made in separate Statutes and several directions have been issued by Courts, all focusing on ensuring to reduce the waiting time for the litigants for disposal of their cases and to reinforce the rule of rule in the society. However, the inaction on the part of the [government] to create additional Fast Track Courts on permanent basis is arbitrary and defeats the objective of a speedy trial," it said. The context behind the petition is huge pendency of cases both in the Delhi Judicial Services (DJS) and the Delhi Higher Judicial Services (DHJS) and shortfall of judicial officers as against the sanctioned strength and, accordingly, the petitioner has prayed for direction to the respondent government to make the FTC scheme a permanent feature in place of the present ad-hoc and temporary FTC scheme and, accordingly, sanction 20 posts of Additional District & Sessions Judge in the DHJS along with 95 posts of ancillary staff on permanent basis for FTCs. The next date of hearing in the case is on May 17.